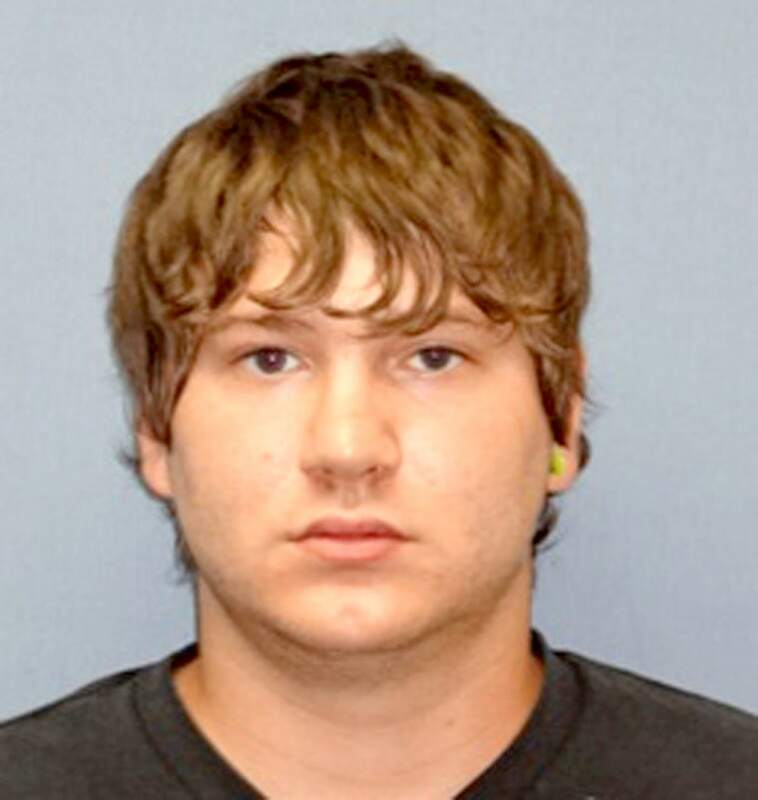 Federal authorities were holding a man in custody Monday who domestic terrorism investigators said planned and tried to execute an anti-government bombing of an Oklahoma City bank. Documents filed in federal district court say that Jerry Drake Varnell, 23, drove what he believed was a stolen van containing a 1,000-pound ammonium nitrate bomb early Saturday morning to an alley beside BancFirst in downtown Oklahoma City. The bomb was a fake — the result of a months-long domestic terrorism investigation, the U.S. Attorney's Office for Oklahoma's Western District said in a statement. The cell phone that Varnell believed was a detonator dialed law enforcement, and the getaway driver was an undercover agent with the Federal Bureau of Investigation. The agency had been monitoring Varnell since December, the documents say, when he began discussing plans with a confidential informant about attacking the Federal Reserve Building in Washington D.C. “in a manner similar” to the 1995 bombing in Oklahoma City that killed 168 people and injured hundreds more. Later, Varnell changed his plans, saying he didn’t “want to kill a bunch of people,” the documents say, adding that the agent cautioned him that such a plan could still result in death. “You got to break a couple of eggs to make an omelet,” Varnell responded during one of the meetings, the documents say. Varnell lived in a trailer on his parents’ property in Sayre, 130 miles east of Oklahoma City. In a June meeting with the agent, the documents say, he described himself as a believer in “Three Percenter” ideology, a group that says it promotes patriotism and love of freedom and liberty. The Southern Poverty Law Center, which monitors hate groups and extremists, has described the national group as anti-government. In a statement Monday, the Three Percenters condemned Varnell’s plans. Varnell later wrote a message that he believed would be posted on Facebook and would distinguish the bank bombing from an ISIS attack. The message said the bombing was in “retaliation” for the “freedoms that have been taken away from the American people,” the documents say. It wasn’t immediately clear if Varnell had a lawyer. In a now-deleted Facebook post, Cade Varnell, who identified himself as Jerry’s brother, accused the agency of pushing him into the plot, The Oklahoman reported. Cade Varnell did not immediately respond to an interview request.